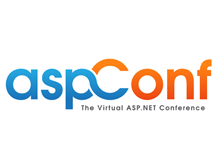 aspConf is a virtual conference focused on one thing: showcasing the ASP.NET stack as the platform for great web applications. We've revamped the popular mvcConf conference to serve all of ASP.NET, Windows Azure, the Microsoft Web Platform and the community as a whole. aspConf will be broadcasting live on July 17 2012 starting at 8:30AM PST.